PRESIDENT of the TT Cricket Board Azim Bassarath said he will run for the presidency of the board again, despite allegations of mismanagement of funds within the board over the past six months. According to a CNC3 report on Tuesday night, a PriceWaterhouseCoopers (PWC) audit suggested there was collusion between former Sport Company of TT (SporTT) director Imran Jan and Bassarath. The audit alleged Jan attempted to approve funding for the TTCB beyond his limit, with the promise of a coaching role with the national team. It also said Jan leaked confidential SporTT documents to TTCB president Bassarath which revealed the amount of money the local board would receive from SporTT. Bassarath has questioned the timing of the PWC audit, just eight days before its elections are held. He also lashed out at the media for reporting on the audit. In a press release yesterday, Bassarath said, "It is also interesting but not surprising that once again members of the local sports media are being manipulated to pursue a particular narrative in opposition to the cricket board. "A penchant for negative reporting and sensationalism has assumed the profile of an insidious campaign with the fourth estate being not unjustly accused of being embedded in the camp of the self-styled agitators pursuing the overthrow of the legally constituted cricket board. "More evidence of this was recently provided by the suspicious circumstances in which this report, dating back several months, was leaked at this time in an obvious attempt to influence the outcome of the upcoming TTCB elections." 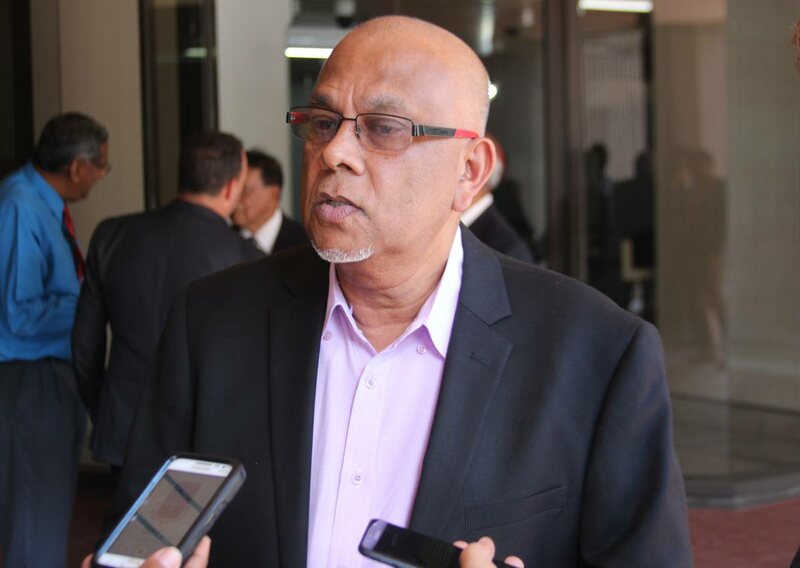 Bassarath had also questioned the timing of the NGC audit last year and called for an immediate investigation into how the document, if authentic, could be accessed without the consent of NGC. “Was the NGC system hacked?” he said. In the press release yesterday, the TTCB said it did not receive funding from SporTT for a long time. "As most cricket fans in TT will be painfully aware, the TTCB has not received funding from the Sport Company for a very long period." In the release, the TTCB alleged that a former chairman of SporTT refused to give funds to TTCB. "It was however brought to our attention some time ago that a cheque was being processed for the TTCB, but a certain chairman, when appointed, stopped the process." Bassarath, who has been the president of the board for the past ten years, is now certain he will contest the elections on Wednesday. "I was contemplating long and hard on whether or not I should contest the elections, having served three terms which have been extremely challenging – yet fulfilling – as major objectives in local cricket have been achieved. After much thought, I have decided to throw my hat back in the ring and it is now left up to the TTCB members to decide whether they are satisfied with me as leader of the TT Cricket Board for another term." Bassarath said the TTCB has succeeded during his tenure. "I am reiterating here that the cricket board under my tenure has much to be proud off and great strides have been made in the development of the sport. Reply to "Bassarath seeks 4th term as TTCB president"